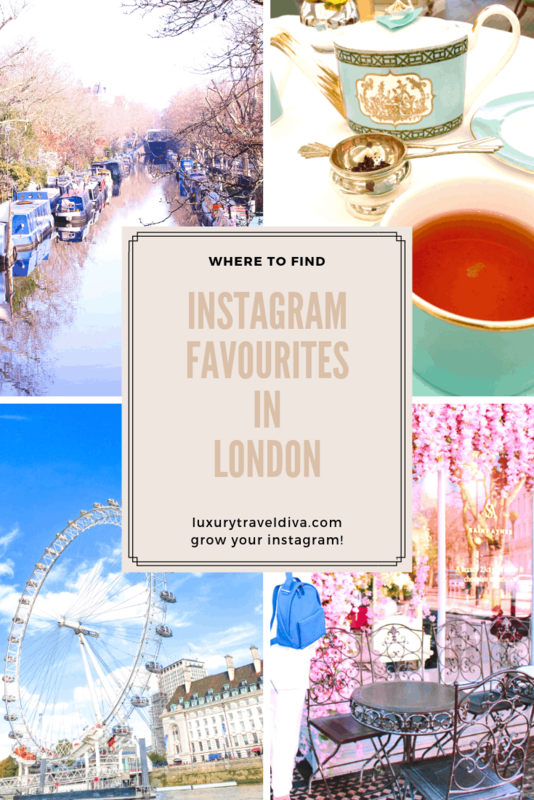 Instagram favourites in London – and where to find them! London Cafes have jumped on the instagram bandwagon with enthusiasm. 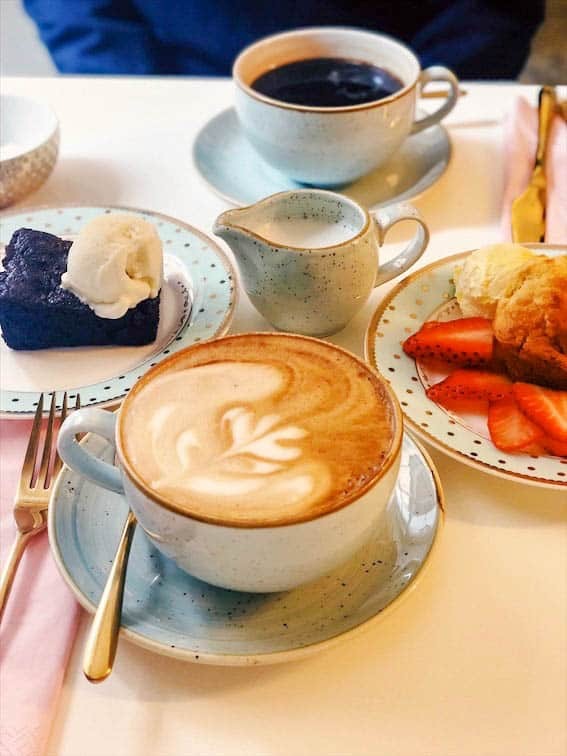 Peggy Porschen Cakes led this trend and now have queues of wannabe instagram sensations waiting for a turn to take a selfie! 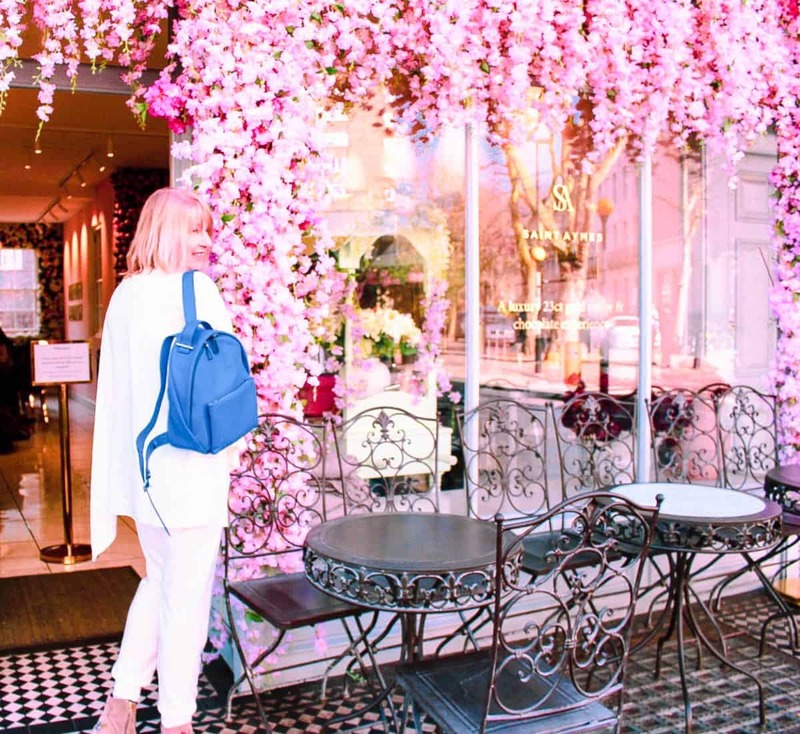 Flower filled cafes are everywhere now. If you REALLY want to get a pic here, my advice is go early or late (my pic above was taken late in the day and the instagrammers had gone home, you won’t find me joining a queue!) There are several branches so look at the website link. 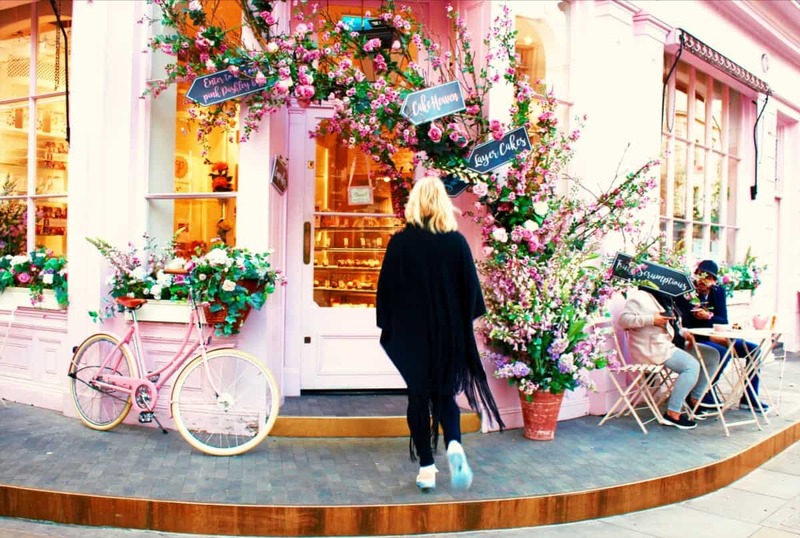 My photo was taken in Elizabeth Street, right by Victoria Bus station, Elizabeth Street is full of pretty instagrammable shop windows such as Jo Malone so this is a good one to choose. 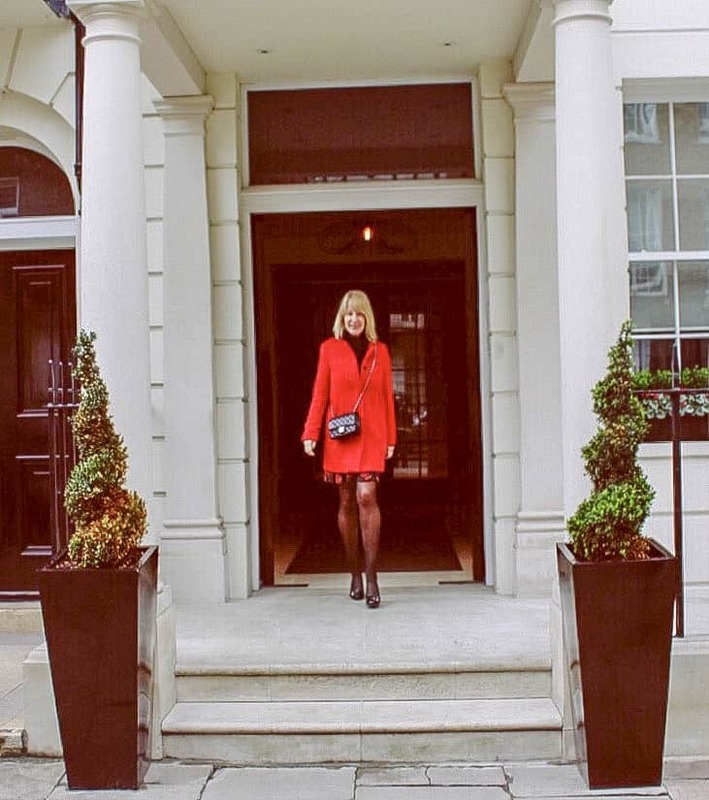 However, if you want somewhere just as pretty but not so well known then visit Saint Aymes which is located at 59 Connaught Street, W2 . 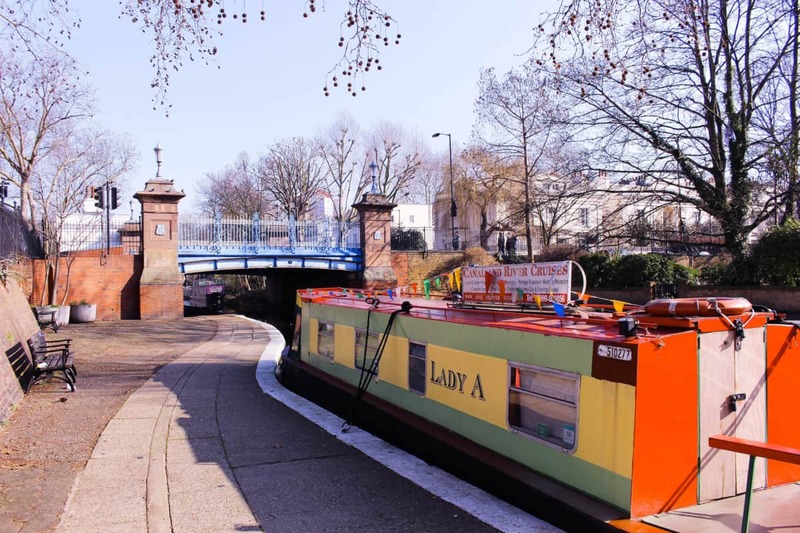 It is a short stroll from Marble Arch tube and near Hyde Park. Delicious coffee and cakes, if rather pricey. But its dog friendly too, which is perfect! There is a very instagrammable florist right next door too! If you are feeling energetic, stroll across Hyde Park, so many pretty things to photograph including The Serpentine Lake, hire a boat for the ultimate selfie shot! Also nearby if you cross Hyde Park are Kensington and Chelsea. The white stucco house are another instagrammers favourite, but do avoid standing on peoples doorstep… how would you like it if it was your house! The photo above is a hotel, before you think I am not following my own advice! You will find these all over London, this is near Oxford Street, W1. 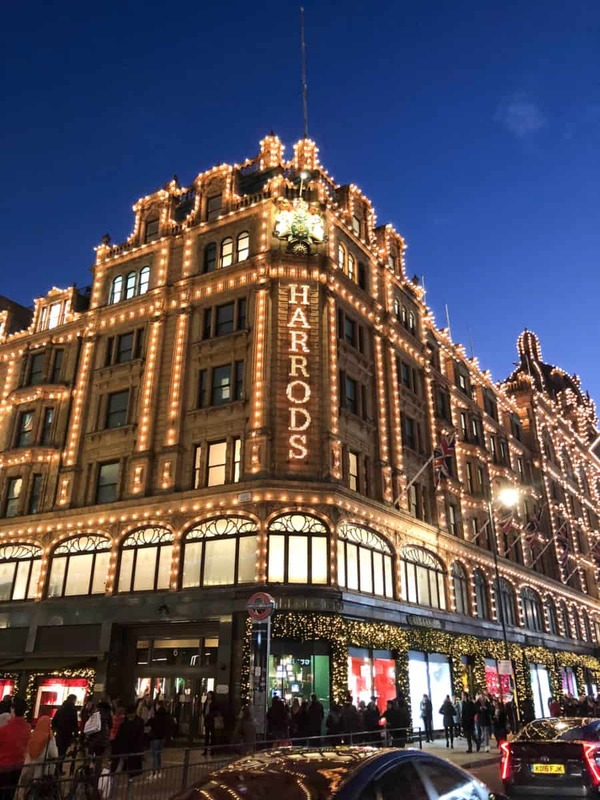 Harrods makes for a dramatic instagram shot, especially at night with the lights twinkling. See if you can get an iconic London bus in the photo too. 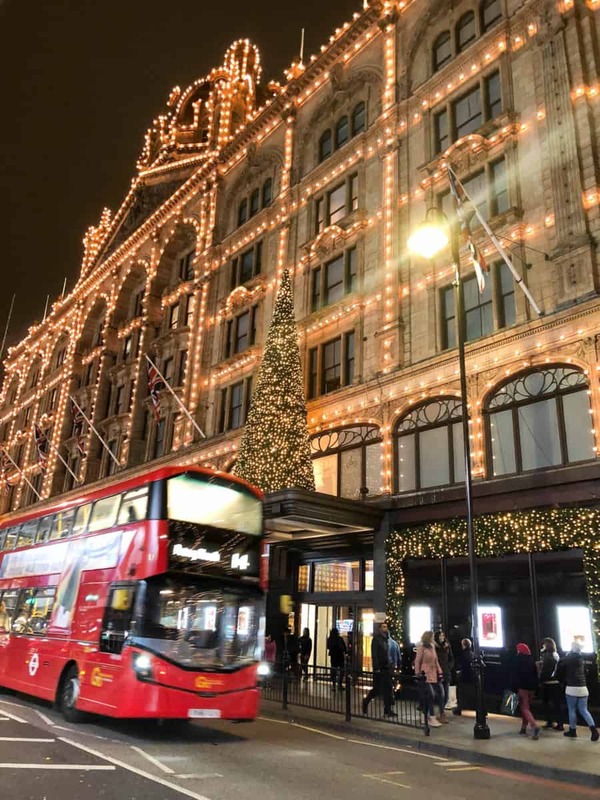 Take the tube to Knightsbridge and you will be right outside Harrods. 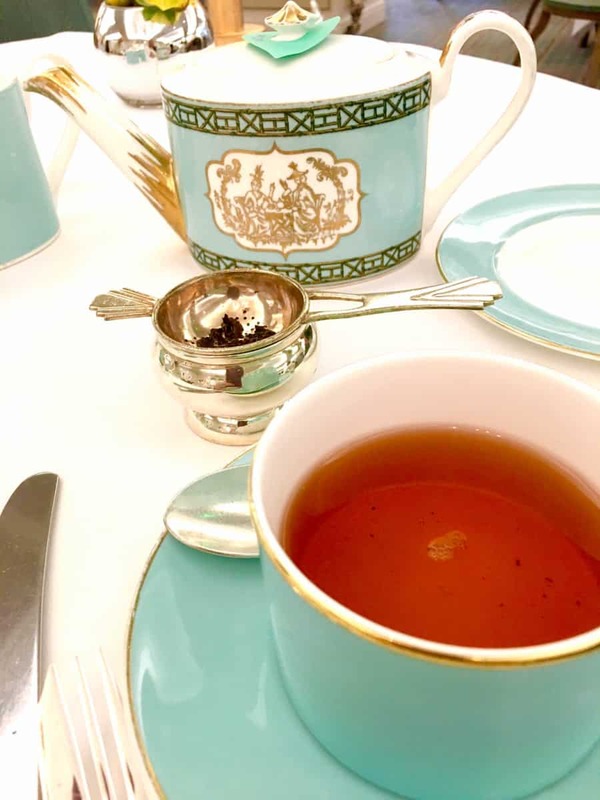 A classic, but unbeatable instagram destination is Fortnum and Mason for Afternoon Tea. You will have to book, because it is very popular. However, much better value for money than some of the expensive London Hotels. Fortnums is located on Picadilly and is near Green Park Tube, you have The Ritz right there too, if you want to splash out on cocktails! 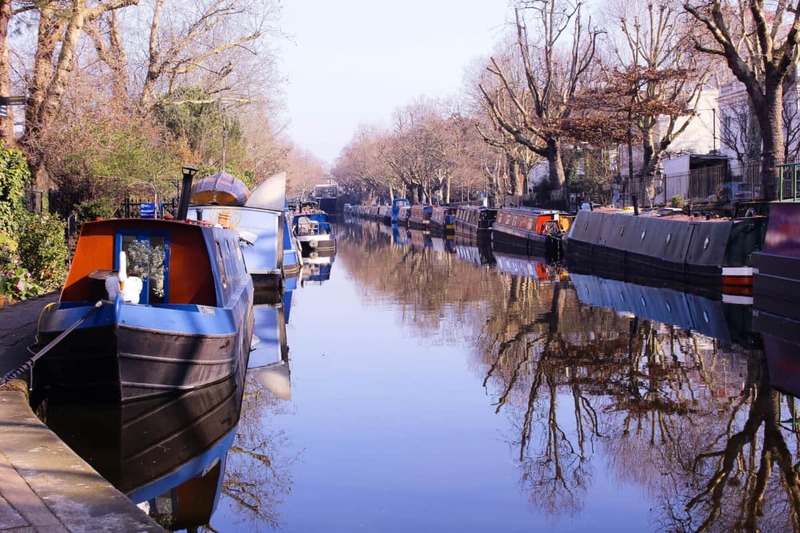 However, if you want to be a bit more original in your Instagram shot quest, how about the beautiful Canal at Maida Vale? A short stroll from St John’s Wood Tube and not far from the iconic Beatles zebra crossing, so you can combine the two. This area is popular with celebrities, I see a famous face or two most visits to Maida Vale and St John’s Wood. 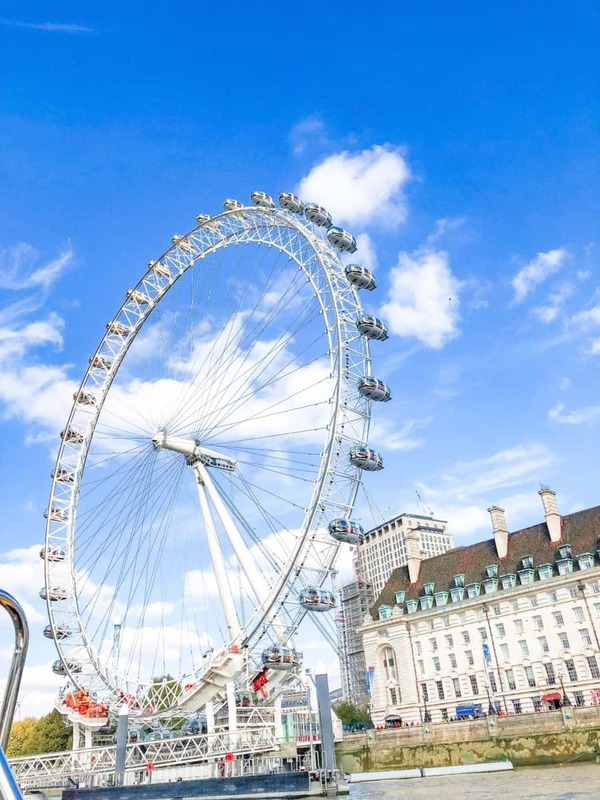 Another great way to take the BEST instagram photos of London is on the Thames! 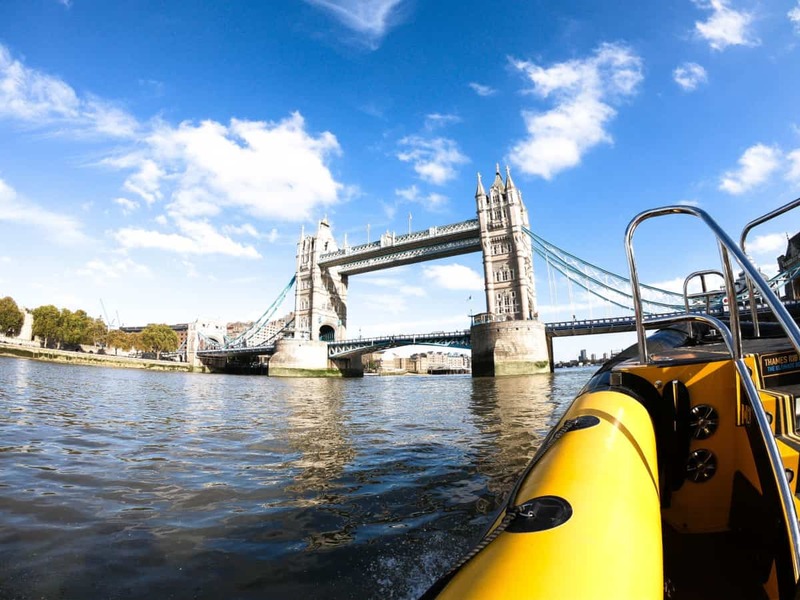 Take a RIB boat ride along the Thames and snap away as you sail down the river and back! A RIB ride saves you from walking for miles too! And you get to see many iconic buildings while you enjoy the ride. 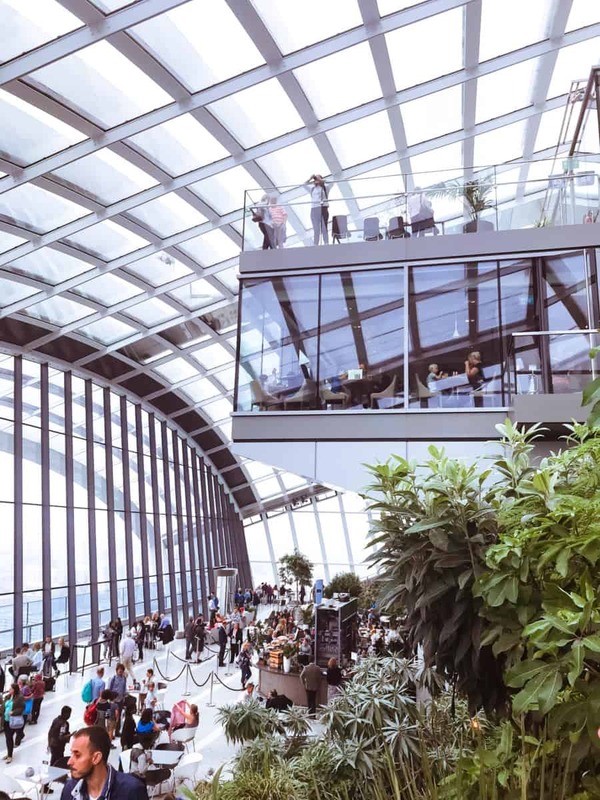 There are amazing views of London from The Sky Garden. Best of all, it is free! Just book a ticket online before you go. Fantastic aerial shots of London. The famous London Arcades are great for Instagram pics too. 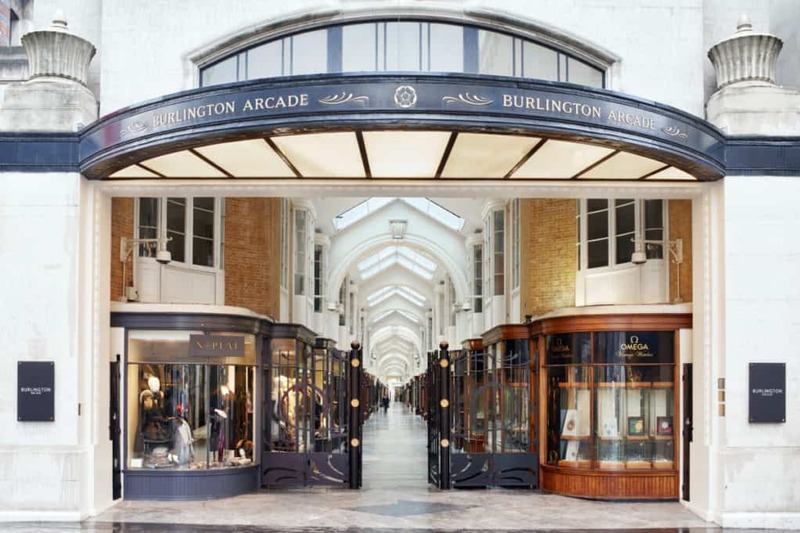 How about Burlington Arcade, above? 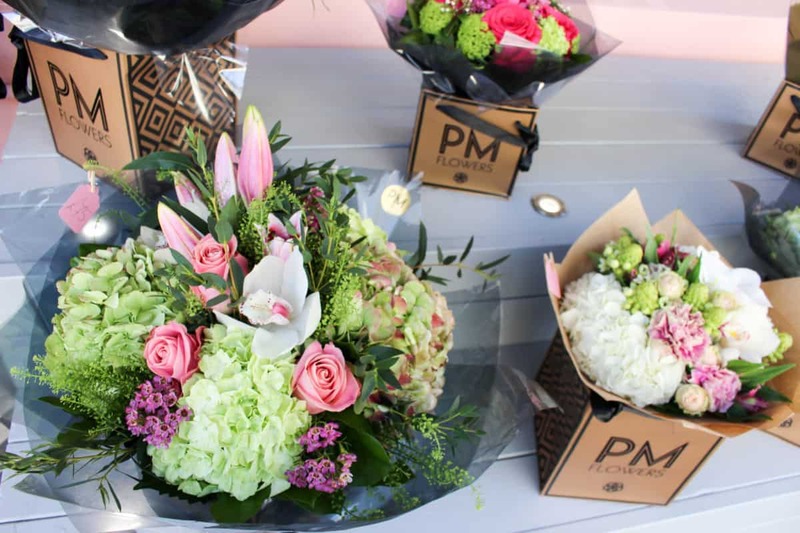 Located on Piccadilly it is easy to find near Fortnum and Mason. Engage: I think of instagram as a microcosm of real life. You don’t bore your friends to death with endless photos of yourself, do you? The same applies on instagram, ENGAGE with your followers, comment on their photos and become interested in each others instagram! Follow people who have the same interests as you and stick to a niche market. Entertain: A pretty picture paints a thousand words but you must be interesting, informative and hopefully entertaining at the same time! Concentrate on instagram followers that you really like and grow from there. Follow their followers and they will follow you too! I would not post too many photos. Times have changed and this is what insta story is designed to do these days. The instagram alogrithm has changed, concentrates on quality content and good HASHTAGS. The hashtags you choose are all important to attract the right audience. Beware! It is tempting to have little moan sometimes on instagram, if you are having a bad day! Just have in mind those people you know in real life….. you know the ones… you avoid them like the plague because they are always moaning? Again, Instagram is a microcosm of real life, we are drawn to those who enrich our lives and avoid toxic personalities. Evolve: Instagram changes all the time, so grow and change too. Embrace change and enjoy all of the new features such as insta story. Learn from other instagrammers and adapt as time goes on. Hope this helps!